Call for more information anytime 706-745-9878. 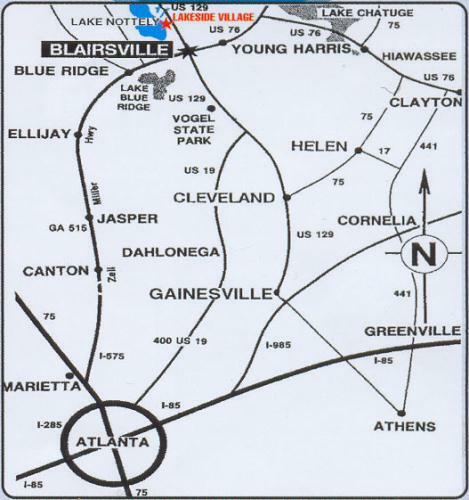 Lakeside Village is an active adult retirement community located just North of Blairsville, GA off US 129. Traveling North on 19/129 about 6 miles North of Blairsville, turn left on N. Mauney Rd, just beyond the Chevron station, look for signs.